Tuesday afternoon, I gave a "Soundscape" presentation for Market Square Concerts for the students at the Capital Area School for the Arts in downtown Harrisburg: you can read the post over at The Market Square Concerts Blog which primarily covers works on the first half of the program by Elliott Carter and György Ligeti. Tomorrow, assuming I can focus on something other than this pernicious toothache, I'll post the "Road Map to the Goldberg Variations" that was Part 2 of that presentation. At first, after realizing I'd agreed to do the talk on Inauguration Day, it concerned me the students would miss the opportunity to watch history being made. As a 10-year-old, I had seen John F. Kennedy's inauguration and the memory is still very powerful, especially watching him take the oath of office and seeing Robert Frost try to read a new poem he had written for the ceremony but was unable to between the glare of the sun and the wind blowing his papers around (he recited another poem of his from memory instead). As it turned out, due to the students' scheduled at the school for their afternoon classes, arriving between 12:15 and 12:30pm, they would miss Barack Obama being sworn in as our 44th President anyway, even if we could have figured out how to get some kind of video coverage into a building built in 1821 (long story short, it didn't work). I was fortunate to watch it myself, barely, from a laptop screen with spotty reception, arriving just in time to hear Aretha Franklin singing "My Country 'Tis of Thee" - sweet! I can't say much about John Williams' functional "occasional" piece, Air & Simple Gifts, written for Itzhak Perlman, Anthony McGill, Yo-Yo Ma and Gabriela Montero (whether it was planned to be a diverse ensemble or not, the performers included a Jew, an African-American, an Asian-American and a Latino woman). Perhaps suitable for the occasion, however unrealistic it may have been for an outdoor performance on a day with sub-freezing temperatures, it was still not a memorable piece of music, beyond the memorableness of its "found source material," the Shaker Hymn "Simple Gifts" (many people might be familiar with the tune from Copland's use of it in his ballet, Appalachian Spring). Perhaps it fared no better, aesthetically, than Elizabeth Alexander's poem written for the occasion, "Praise Song of the Day" which suffered as much from the immenisty of the occasion as it did from the expectations heaped upon it. First Lady Michelle Obama's fashion-sense has made rock stars of Isabel Toledo who designed the gown worn at the Inauguration, and Jason Wu whose white gown danced its way through the night at ten different inaugural balls. Even though Ms. Alexander's poem received generally poor comments from the press, it has already become a best-seller at Amazon.com. This is wonderful news for artists who could use a break like that, receiving that kind of exposure. I rather doubt John Williams really needed that kind of boost. Anyway, you can read two reviews of Williams' music - here's the Washington Post's; and this one, from the New York Times which also includes video footage of the performance. Needless to say, it was inspiring to watch Obama take the oath of office. Even if the Chief Justice of the Supreme Court muffed it - in an abundance of caution, (oops) they did it again Wednesday night in the White House just to make sure it was all legal, just in case there's ever any argument it wasn't, the first time around. Having grown up in the '60s watching the violence of the Civil Rights Movement playing out on TV news and photographs in the newspapers, it was amazing to see an African-American elected by the people of the United States being sworn in as our President. I can't imagine what it must be like for those people who had lived those experiences I merely watched over 45 years ago. There has been much talk in recent months about a "Secretary of the Arts" position in an Obama cabinet, including an on-line petition. I'm not sure if it's the way I want to get government involved in fostering culture in this country, even though many European countries have a ministry of culture. Perhaps my concern is not so much this administration but how it might have been handled in, say, the last one. Some say it would lead to the politicization of the arts in this country (though it already is, even without government subsidies that often keep the arts afloat in other countries). Some say the arts are a local concern, not a federal responsibility, not sanctioned by the Constitution. Which of course, as a document, knew nothing about cars and trucks or gasoline and electricity to warrant the creation of cabinet-level departments overseeing the nation's transportation and energy policies. Others say the arts, like any business, should be allowed to succeed or fail according to the dictates of a Free Market Economy, which no doubt explains why the auto industry has gone, hat in hand, begging for bucks in Washington in the waning months of the Bush Administration. I'm still not sure how I would vote on the issue, if it were up to me - though I did sign the petition, do I really want another bloated bureacuracy with a high-paid director? - but I thought Matthew's post at Soho the Dog made some pretty fascinating reading, comparing the amount of personal income and tax revenue generated by the Big 3 Auto-makers and by the arts in this country. The auto industry generates only 1.4 times what the "non-profit arts and culture industry" generate, and yet the auto industry receives 120 times what the federal government gives to support the arts. Something to think about as we look to the future, hopefully beyond the darkness of our present economic crisis. Check the comments, too: Matthew makes a lucid argument for the cabinet-level responsibilities of an Arts Secretary. My hope is, though, that if it does come to pass, they don't pick some big name celebrity - like John Williams - to serve as a figure-head to run it but a savvy arts administrator with enough background in all the arts to give it some serious consideration. UPDATE: Saw this Thursday morning on ArtsJournal, from Musical America, about the Obama Transition Team meeting with arts groups' leaders even before the Inauguration. I’ll be posting some of the things there I might usually post here – especially the “up-close and personal” introductions to works that will be performed on up-coming concerts. So you can now read The Human Side of the Goldberg Variations and also The Road Map to the Goldberg Variations. Tuesday afternoon, I’ll be presenting a “Market Square Concerts Soundscape” for the students at the Capital Area School for the Arts, preparing them for a pre-concert presentation by pianist Matthew Bengtson and composer Jeremy Gill. The concert itself is Sunday afternoon at 4:00 at Harrisburg’s Whitaker Center. Sometimes it helps me, as a composer, to write the ending first. My rationale is, that way I know where I’m going. Maybe not always first but early in the creative process, one way or another. That doesn’t mean it can’t change by the time I get there: it just helps put everything else in some kind of focus. So I’d been working out the different segments of this little two-minute scherzo, the one where four contrasting elements are “blenderized” into an interlude before the final movement. It’s not pulverized into a scherzo slurpie, just the idea of some kind of seemingly random juxtaposition of these fragmentary sections, a little more scrambled than your standard rondo with some of them overlapping and no real connection between them. I’m not sure how nightmarish this interlude really is: the recurring scorrevole section evokes that kind of mood, unsettling and a bit scary, followed by the kind of “suspended animation” where one might stop suddenly as if thinking “what was that!” The two other elements are too normal, perhaps, but then the more frightening aspects of a dream might be more frightening when compared to something fairly normal. The only problem is the “suspended animation” bits may not be anticipatory enough. Each segment is built on different groups of six notes (hexachords), each with different harmonic content and what I’d chosen for this second element is basically a whole-tone scale. That makes it harmonically ambiguous but it also doesn’t really have an edge to it, lacking the tension implicit in the others’ dissonance. While Debussy’s whole-tone impressionism can be vague and, depending on how it’s handled, unsettling, I’m not sure yet how well that’s going to work, here. We’ll see. I’d already sketched out a few of these segments, but they, too, might change. Now, at this tempo, it literally flies by in about 13-14 seconds, so spending 7 of the last 11 days on it may seem “inefficient” but that’s the way it goes. Over the years, I’ve become a slow composer and I’ve found that writing fast music takes longer than writing slow music (actually, Berlioz complained about that, too, so it’s nothing new). Scorrevole means just what it sounds like – scurrying. The original idea was that the whole brief piece would be barely audible, but then I thought I would make each of these fragments a bit louder till we’d reach the climax and then it would fade back into near-inaudibility. 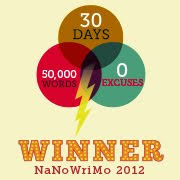 But then I started thinking a gradual crescendo from beginning to end might be more compelling. Chopping it off in mid-air at the very end would probably be even more effective, dramatically, like dreaming you’ve fallen over the cliff but you wake up in a cold sweat before hitting the ground. That kind of thing. The other problem was how to write something like this that could end loudly. It would be difficult for the piano to control the kind of rushing figures I had in mind at that dynamic level, so they should go from a single scurrying legato strand to playing them in both hands, first an octave apart and then two octaves apart. As the violin moves from a couple of beats per bow to fewer and fewer notes per bow until the final measure where it’s one bow per note, the piano then breaks into pounding octaves alternating between the right and left hands (a Lisztian approach I’d already used somewhat differently in the Chaconne). This helps the crescendo but also helps propel the momentum forward: it feels faster even though the tempo remains the same. So here are the last five measures of the 4th movement of my nearly complete Violin Sonata. Now, the freebie software I’m using is very limited (it wasn’t designed for the kind of stuff I want to do), so take these grains of salt as you check it out: the original is in 4/4 with 16th note sextuplets at 1/4-note = 90 – but since Finale’s Notebook doesn’t permit me to write it that way, I’ve transcribed it as ten measures of 12/8 with 8th notes at dotted 1/4-note = 180. Same thing, audibly, but I have to admit seeing all those 16th notes just makes it “look” faster! Now, I haven’t figured out how to record the play-back with its geeky synthesized sound-approximations, so you’ll just have to look at it. At least it’ll give you an idea. Sunday night may have been a great night for the film, Slumdog Millionaire, but I wonder how many people may be watching this film 100 years from now? I guess it’s an elitist attitude to question how important to the general public something like a new award-winning movie is, currently popular, compared to the news coverage and the general view of the validity of classical music to today’s society, apples and oranges aside. Local coverage of the arts in many cities and smaller towns outside the major metropolitan centers might be considered laughable if it weren’t such a sad commentary on the culture of our times, dismissed because the audience is older and a smaller, less interesting demographic to the commercial well-being of society or, rather, their individual bottom-lines (how do you define “elitism”?). At the “talk-back sessions” following each concert of the Harrisburg Symphony, conductor Stuart Malina often says, with this ever-boyish grin, “Am I the luckiest guy in the world, or what? !” He of course is modestly assessing his own role in the process since an important part of the performance comes from the orchestra’s being inspired by his own enthusiasm and their trust in his interpretation (unlike many orchestras where mutual respect is often sadly lacking). In the decades that I’ve heard concerts in New York City, Philadelphia or Baltimore with their major orchestras – especially New York, where the world’s best orchestras come to play – I have not heard many concerts to match the enthusiasm and compelling interpretation I heard in the Forum this weekend with the Harrisburg Symphony. Given the technical proficiency of a full-blown professional orchestra like the New York Philharmonic or the Philadelphia Orchestra, where musicians play together on a much more regular basis and make a living doing so, you might expect to feel a reaction like this more often. Technically, there’s little to fault the Harrisburg players on – even with only two or three barely noticeable mistakes (and even then, given the over-all emotional involvement, I wonder how important they were), it was still better on a purely technical level than many performances I’ve heard of major works by major orchestras. A few years ago I heard the legendary Philadelphia Orchestra play Beethoven’s “Eroica” in what was, for an orchestra of that level, a clam-bake with muffed notes, sloppy entrances, loose ensemble playing and an overall undernourished emotional connection as if many of them were transmitting it to the hall on their cell-phones. I mean, this is Beethoven’s freaping “Eroica” – I don’t care if you don’t like your conductor: how many times have you played this piece?! Or maybe that’s part of it. When I was personnel manager for the Harrisburg Symphony, it was easy to get musicians to come in from far and wide to sub for concerts with Mahler’s 2nd or Stravinsky’s Petrushka on the program; not so much for another symphony by Beethoven or Tchaikovsky. I walked into the first rehearsal last Thursday to familiarize myself with how they will perform it, primarily to help me formulate my pre-concert talk, but also because I’ve never heard Mahler’s 9th live and wanted every opportunity to hear as much of it as possible (unfortunately I had to miss the dress rehearsal Saturday morning because I needed to write out that pre-concert talk...). What I heard Thursday afternoon blew me away – not from the sheer force of sound but by how well prepared the players were. They already had their parts “down,” having spent the necessary time preparing themselves individually in advance. People might think musicians come to a rehearsal, are handed the parts and then they learn to play it during the rehearsals. But in something like this, hours and hours of preparation time go into learning each player’s individual notes before the rehearsals begin, then putting all of their parts together to create the whole piece. This is a hard piece to play, too, once you start putting everybody together: there were things going on here at this first “read-through” that were cleaner and clearer than some of the recordings I have – and I’m talking Vienna Philharmonic (which was Mahler’s orchestra, once upon a time – okay, so they never liked him or his music, but still, it’s the Vienna Philharfreakingmonic) or the Columbia Symphony (comprised of the best musicians in Hollywood who were expected to read at sight and play with minimum rehearsal when they recorded movie soundtracks in the old days), both conducted by Bruno Walter (who premiered the piece in 1912 and should know it better than anybody else), plus a couple of others that should probably remain nameless. The biggest problem is the mush that results from Mahler’s dense polyphony, all the different lines running against each other which sometimes are harmonically and rhythmically so different that you begin to lose the definition of the lines in what becomes a more anonymous wash of sound. Shaping the lines helps. And observing Mahler’s immensely detailed dynamics for the different parts also helps bring clarity to the music. Of all performances in the Forum, a hall not known for its helpful acoustics, I had expected this one to be a real nightmare in getting the balance right and yet it was one of the best balanced performances I have ever heard there. Great conductors have stood up on the podiums in front of great orchestras in the past and beaten time but little else. Even Bernstein admitted, if Mahler put everything into the articulations and dynamics of the parts, there should be little work he’d need to do, but knowing music like this doesn’t play itself, he still felt the need to approach the orchestra with the same intensity Mahler approached writing the music down, as if “selling it” to the players to make it come across. There is more than just music, here: in addition to a complicated musical aesthetic from a time when 19th Century Romanticism was ending and the 20th Century’s new approaches were beginning, there are also philosophical issues and even psychological ones to take into consideration. Music was becoming more than placing the notes and pacing the phrasing: it was becoming more “what does the music mean?” What is the composer trying to say? What is going on behind the surface? Of course, these are intangibles and cannot be known without a detailed account from Mahler (or any composer) describing what was going on in his mind at the time he was writing it, even if it didn’t matter to him once the piece was done. Mahler did not write epic programmatic symphonies in the 19th Century sense of the “symphonic poem,” telling the story of Faust, say, directly or indirectly through musical and literary allusions. Nor was he necessarily attempting to write autobiographical music. But like any artist, part of himself automatically went into it. The vastness and complexity of the results reflect the composer, self-indulgently or not, the times the work was composed in and, in some way, might be a summation of everything the composer had experienced up to that time and might anticipate to come, life-events and other music that might have influenced him, once composers began writing music for posterity rather than for a given “moment” in time for sheer entertainment. You can appreciate Beethoven’s “Eroica” without needing to know anything about Napoleon or the years of warfare Europe was suffering (and would continue to suffer) when Beethoven wrote it. You can do the same with Mahler, though sometimes comprehending some of this background information can make you a better informed listener and help you appreciate it more. Otherwise it becomes a tediously long endurance test that might challenge your attention as much as it might your ability to sit still that long. I first heard Mahler’s 9th in the mid-60s when I was in high school, thanks to recordings available at the Dauphin County Library in Harrisburg. But this was the first time I’d heard it live. And it’s a very different experience, especially sharing that experience with some 1200 or so people (probably more, Saturday night, if others had chosen to brave the weather forecast). To say “you could hear a pin drop” during the last several minutes of this symphony, with its long unwinding final phrases, more silence than notes, is a reasonable use of the cliche: except for a few unfortunate coughs, it was nearly silent in the hall – Saturday night, someone was attacked by a wracking cough and escaped to the lobby, unfortunately missing the ending but not really ruining it for everybody else; Sunday afternoon, with a few minutes to go, one couple stomps out through the promenade in the back of the hall and I could hear every footstep, the side door slamming behind them – but still they failed to derail the audience’s intense attention. One of the people sitting in the row in front of me had trouble concentrating during the first movement (flipping through the program booklet until he apparently had it memorized) and though a conversation between him and the person next to him at the start of the 2nd movement boded badly for the last movement, it seemed by then, almost an hour later, he had become involved enough in it to be one of the first people to stand up and applaud once the silence was broken. Endings like these are treacherous with audiences. Not everybody’s going to like the piece: I’m always afraid somebody will do what one maladroit did in New York with such an ending (I forget the piece), saying in a stage whisper that would’ve done a Broadway actor proud, “Well, thank God that’s over!” (speaking of self-indulgent). The slightest nervousness, the least cough, the preparation for that fast dash to be the first one out of the parking lot – I’ve heard all these in New York. People talked to each other – this was in the days before cell-phones, too – like they were in their own living rooms, oblivious to the other thousand or so people around them. Two women talking about bean soup recipes destroyed a whole performance of Bruckner’s 9th Symphony at Lincoln Center. So it says a lot for the Harrisburg audience – which jaded New Yorkers might deem “provincial” – when I say how palpably real their attention was to this performance. This was due, of course, as much to the intensity of the performance as the music itself, but it was also felt by the musicians on the stage who then fed from the energy and concentration of their audience and became part of the circle – Mahler’s music enhanced by the performers involved the audience who inspired the performers who made the music an even more incredible experience. There were details of interpretation, in a work that can be interpreted so many different ways, that made a lot of sense to me: often, conductors take the two middle movements too fast, emphasizing from the first beat the manic quality of this music. But that’s not how Mahler writes the tempo markings. The second movement, marked “In the tempo of a comfortable Ländler,” is a rustic dance movement; the third, which he marks “very fast and insolent,” is a picture of the urban social whirl Mahler disliked so much. Both are unsophisticated snapshots written in a highly sophisticated style with a great deal of earthiness and bitterness and finally downright sarcasm. Each movement gets faster toward the end and if it’s wild and flailing from the beginning, it becomes tiring and pointless. Malina took the dance movement at face-value to begin, three dances in three different tempos, one after the other. But Mahler begins slipping bits of them around until they become something of a jumble, as if you’ve been bar-hopping and listening to the band in one bar playing this song but you’ve still got what the band in the other bar had been playing stuck in your mind. And as often happens when people go bar-hopping, the music (or the perception of the music) becomes increasingly more inebriated. At one point, Mahler writes the fragments of tunes whirling around him as if they’re playing wrong notes or breaking off as if they couldn't remember how they went any more. At another point, while everybody’s boom-chucking away on the back-beats and the tune is joyfully working its way through the string section, the woodwinds suddenly break into a unison folk-song soaring up and over everything else as if everybody at the bar just broke out in song. By the end, the oddness of the passages with the piccolo and the contrabassoon, these extreme registers, make more sense in their unsteadiness. The third movement is a different kind of party-scene, perhaps: urban popular music is the focus here, circa 1900, as opposed to Mahler’s beloved folk music. Here, his attitude toward the vulgarity of pop music as opposed to the ideal symphonic world he was trying to create is very clear, especially when you realize one of the tunes that’s being “burlesqued” in this movement becomes the spiritually soul-filled hymn of the last movement. Whether it’s drinking or just his mounting frustration with the hypocrisy of this party, you can feel his blood-pressure rise as the movement progresses until by the end it becomes wilder and more frenzied, much the way Ravel’s La Valse would later do a few years later, capturing this same Vienna at this same period of time, the decadent decade before society’s collapse with World War One. This music is anything but polite, but if you start it so it sounds “lively and spirited” (how do you define insolence musically: self-assured in its vulgarity?) and then let it turn nasty and violent (psychologically if not physically) as it progresses (or rather, disintegrates), then it has somewhere to go – all downhill. All it needed was a disco-ball interacting with the increasing tempos. By the end, it’s as if Mahler slammed the door and ran out into the quiet of the night. While it didn’t surprise me to hear great playing in the solos, it did surprise me to realize how many players in the orchestra had them, no matter how briefly, and how wonderful they sounded. Mahler frequently writes a long-lined melody but somewhere along the way, the strings fade out and suddenly you’re hearing the English horn play it for a few measures and then it goes on to other instruments like a slowly-changing color-wheel. Even instruments not usually associated with solos have their moments to add to this sound-world, like the E-flat clarinet, the piccolo and the contrabassoon, even if it’s only a flash in the texture. There are several solos for the concertmaster but also quite a few for the principal violist. A cello solo in the last movement may be only two measures long and very very soft but it is heart-rending in its brief moment. The biggest share of the solos go to the principal horn and the principal flute, both of whom joined Malina for the post-concert “talk-back” sessions. For Eric Reed, this was his first concert with the orchestra, having won the audition in September for the 3rd horn chair, except now he was substituting because the 1st chair player was on a leave-of-absence to play in the Dallas Symphony the rest of the season. No pressure there, coming in and, for your introduction, playing some of the biggest horn solos in the repertoire! Though Mahler sometimes requires 8 or 10 players in other symphonies, he uses only four horns here, but they are kept very busy: small wonder the horn section stood on stage after Sunday’s concert, having a group photograph taken, whether it becomes an “I Survived Mahler’s 9th” T-shirt or not. There’s a different mind-set between playing as part of the group and playing a prominent solo, no matter how long it might be: add to that the physical stamina of playing for 90 minutes and, when you’re not playing, just sitting there unable to unwind and relax. And if playing the piece isn’t challenging enough, at the end of the last movement, after all this, the strings are spinning out these last long threads barely connecting the music to the world while the rest of the orchestra has already finished playing. But now, they can’t move because the slightest motion on stage becomes a distraction that will ruin the moment, diverting the audience’s focus. It’s easy for musicians on a stage of 80 or 90 players to think no one will notice if a couple people look around like they’re relieved or bored or take a moment to scratch an ear or impatiently fluff their hair. But even here, I would say many of the major orchestras and chamber groups I’ve seen don’t always seem to understand that playing and even not playing are still part of the audience’s theatrical experience, seeing as well as hearing a work performed live. And it’s another example of this orchestra’s sensitivity to what they’re playing and how well they’re playing it. At no time was I ever aware this was a part-time orchestra that gets together in a smaller metropolitan area (not one of the major urban centers of the nation) to play seven concerts a season. If it hadn’t been for the sound of the Forum, I could’ve closed my eyes and thought I was in some place like Carnegie Hall. Are we a lucky town, or what?! Well, what more could we need for "pre-concert remarks" about Mahler's Symphony No. 9? The Harrisburg Symphony will be playing it this weekend, Saturday at 8pm (snow or shine) and Sunday at 3pm at the Forum in Downtown Harrisburg and I'm doing the pre-concert talk an hour before each performance. Talking with Odin Rathnam after last night's rehearsal, he told me that Leonard Bernstein's "Four Ways to Say Farewell," his very personal observations on Mahler's 9th, was available on YouTube. So I've embedded them here (in this case, with Chinese subtitles, posted from Hong Kong, and Bernstein conducting a rehearsal with the Vienna Philharmonic in German). Saturday marks the opening of the annual “Farm Show” which, in Central Pennsylvania, means two things – the largest agricultural exposition in the nearby universe and the arrival of typically bad winter weather, usually of the more-so-than-usual variety. For those who enjoy it, that means a delight; for those who do not, it means anything from an annoyance to another reason to go back into hibernation and wait for the groundhog. Not that every Farm Show brings bad weather. And not every prediction comes true. There was a huge blizzard that was going to sock the midstate with more than a foot of snow one January a few years back prompting Market Square Concerts to postpone a Saturday concert only to have not a single snow-flake fall within a 20-mile radius of Harrisburg. UPDATE: for this storm, Channel 27's weather center is predicting 3-6" in the immediate Harrisburg area. Further Update (as of Saturday morning 8:30am): The way the storm is tracking, they're now calling for 1-3" in the Harrisburg area mixed with sleet, 3-6" for areas north and west. So how will this affect the audience for the Harrisburg Symphony this weekend? I suspect some people, after they get back from ransacking the local grocery stores for bread and milk, will be calling to see if the concert will be rescheduled – the answer is no. If this is a serious concern for you, you may want to see about exchanging tickets for Sunday afternoon’s performance. Things should clear up by then: better than missing it completely. Having a chance to hear any Mahler symphony live is an event and the 9th is one of those you don’t get a chance to hear live very often. Yesterday, I attended two rehearsals with Stuart Malina conducting the orchestra in Gustav Mahler’s 9th Symphony. All I can say is, it’s going to be an exciting performance! This is, admittedly, a very difficult piece to play well but there were things going on in this first run-through that were as good or even better than in some of the recordings I have. At the end of the evening’s rehearsal, after going through the emotionally intense and physically exhausting last movement, the greatest of the farewells in this symphony of farewells, Stuart walked over to me, beaming, with his trade-mark “Am I the luckiest guy in the world, or what? 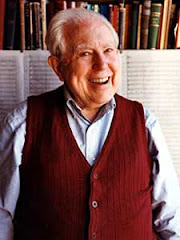 !” The orchestra is playing fantastically and they are responding to him with enthusiasm that would make conductors of many major orchestras envious. This weekend, the Harrisburg Symphony performs Mahler’s 9th Symphony with Stuart Malina conducting. I’ll be doing the pre-concert talks for both performances. Consequently these past couple of weeks, in the evenings after a busy day composing, I’ve been reading about Mahler’s life and times and trying to re-familiarize myself with the piece, listening to several recordings and checking out the full score. At the same time, I’ve been doing a lot of similar re-familiarization with his 6th Symphony – it figures in the novel I’ve been working at since November, for one thing, plus to understand the 9th, it helps to know the 6th – and it’s odd how at times the two works start running together. The 6th is often called the “Tragic” Symphony that collapses, crushed, at the end while the 9th is clearly a Farewell Symphony, a “farewell to life and love,” that transcends the pain and drama of life. The first conducting I ever did with the Harrisburg Symphony was back in 1981, taking the first rehearsal for Mahler’s Symphony No. 1, essentially my “audition” to be their assistant conductor, which in fact was the first piece I ever conducted in front of a full orchestra at all. Aside from my own compositions, the only other work I had conducted even with a small orchestra was Webern’s Symphony when I was teaching at UConn. So tonight I listened to Bruno Walter’s recording from 1961 – it was Bruno Walter, friend and protege of Mahler’s, who conducted the premiere in 1912, the year after Mahler’s death – and decided to do some air-conducting for the first time in over a year or so, something I’d told myself years ago I really needed to do just to keep reminding myself I was a musician long before I was a radio DJ... Doing that, on occasion, like playing Bach fugues or a movement of a Beethoven sonata, is good for the soul even if it’s totally impractical, helping me to reconnect with distant roots. It’s weird how I can recall, almost 50 years ago, being in this same room and air-conducting to some of my favorite recordings. Who needs karaoke? The first time I heard Mahler was a live concert being broadcast on the radio, back in the very-early 1960s. I don’t recall what station was carrying it – long before public broadcasting, that’s for sure – or even what orchestra or who conducted it. I’m pretty sure it was Mahler’s 6th but on our tiny (and tinny) little radio that my folks had probably bought in the very-late 1940s, I can’t say it was very impressive. We had just walked in the door and I turned the radio on. The music was very loud and rhythmic – perhaps the opening March movement or the very similar 2nd movement – and I’d never heard anything like that before. But it was very long and there were other things that had to be done – homework, probably – so I couldn’t devote my entire attention to it, sitting there at the dining room table beside the console. Plus I think my folks wanted to watch TV in the living room so I had to keep the volume down. And it just kept going... and going... for what seemed like hours. I missed the ending but walked back into the room as the applause started so I could now find out what it was – and my impression of composer Gustav Mahler was that he wrote very long pieces, if this was any indication. When I was a high school student, I would go into the Dauphin County Public Library on Front Street and check out some recordings – LPs, of course, in those days (the mid-60s). The work that turned me on to Mahler was a recording by Leonard Bernstein and the New York Philharmonic of Mahler’s 9th. By this time, we had set up a portable record player down in the basement, far removed from my bothering anybody wanting to watch TV or talk on the phone. And this time, with nothing to distract me, I sat there and listened intently to this music that began the way a cell begins coming to life, gradually quivering into existence and then splitting into more and more complex cell-like patterns until I was eventually engulfed in a flood of intensely emotional music which bore the imprint of some of these first cells which by now had grown into immense proportions and far deeper scope than it would’ve seemed possible. The only way I knew time was passing was getting up to change the LPs – the fact it was over an hour long didn’t bother me any more. By the end of the spring, I had taken out all the Mahler recordings they had in the library – the 1st, 2nd, 4th and 6th as well as the 9th a few more times before I went off to college. The Harrisburg Symphony, conducted by Edwin MacArthur, played Mahler’s 1st in 1970 and again in 1973. I know I’d heard the first concert but would have no recollection what the performance would have been like, even to compare it to the one Larry Newland conducted (and which I had rehearsed) in 1981. In between, I had heard the Eastman Philharmonia play Mahler’s 1st a couple of times – it seemed whenever they needed something big and loud for an impressive occasion, Walter Hendl, conductor and President of the school, pulled out Mahler’s 1st. There was at least one live performance of it, too, when I was living in New York City in the late-70s, probably Zubin Mehta and the New York Phil. But none of the other ones, oddly enough. I heard more Bruckner live, then – the 3rd, 4th, 8th and 9th symphonies – and one season it seemed everybody was bringing Bruckner’s 8th to Carnegie Hall. But not a lot of Mahler. There may be a lot of similarities between Bruckner and Mahler besides the fact they both wrote nine very long symphonies, but there is an old saying that explains the major difference between them: Mahler was always searching for God; Bruckner had already found Him. In 1904, Mahler ended his 6th Symphony with a huge final movement that contained three hammer-blows which cut off the rising intensity that seemed to be leading to a triumphant conclusion. According to Alma Mahler, these represented three blows of fate, the last one felling the symphony’s hero (presumably the composer himself) “like a tree.” Then two things happened to Mahler, then in his late-40s and at the peak of his career: his one child died and he was diagnosed with a heart condition. Small wonder Mahler chose to take out the third hammer-blow – the one that might fell him like a tree – whenever he conducted the 6th Symphony. Where it should occur, near the very end, it may have simply been a matter of over-doing it, since this time the music never recovers and in fact ends in one of the most brutally pessimistic endings of any symphony (except Tchaikovsky’s Pathetique – resignation more than being resigned; depressing definitely, brutal maybe). 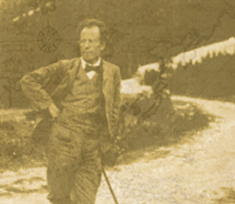 In 1909, Mahler began his 9th Symphony. If the 6th is the opposite of his 5th Symphony – like other 5th Symphonies, or Brahms’ 1st, that triumph over Fate – the 9th takes this defeat in a different direction. There is a Fate Rhythm in the first movement not very different from the pounding march rhythm in the 6th’s opening – in the 9th’s soft and hesitant beginning, it has been described as Mahler’s irregular heartbeat though more accurately reflects the “heart murmur” he was diagnosed with in 1907. While the first movement is full of wildly emotional climaxes, it’s easy to hear this as a funeral march of someone facing death and reluctant to “let go.” The second movement is a dance but more like a distortion of a German ländler (a more rustic version of the waltz), a world-weary movement that is difficult to interpret and where a conductor really needs to get his hands dirty to bring out all the very odd things Mahler accomplishes in this quirky scherzo. The third movement is even more grotesque and is in fact subtitled “burlesque,” a parody with its grim laughter that tries to turn chaos into order by becoming a fugue. An extreme contrast, then, the final movement, the long heart-rending slow movement that transcends this fear of dying, sounds more like a simple chorale hymn, the acceptance of death (resignation may not be the word), a dignified song of the soul that is far removed from being the “Ode to Despair” one might use to describe the end of the 6th. It can be argued that Mahler is often autobiographical – directly or indirectly – in his symphonies: if the 6th is about “a hero,” the 9th embraces everyone. I’ll get into this a little more in a later post – this is getting too long and it’s too late to continue, anyway. So these past few days, I’ve been trying to work pretty hard on this last of a set of five violin and piano pieces when I started realizing how much I’ve been integrating different aspects from the other pieces into this one. Paging through my notebook full of sketches from the earlier pieces, I saw, back in April of 2006 when I started on what became the first of the set (the second piece to be written after the initial “Nocturne”), I was already anticipating there would be a five pieces and that in September of ‘06 (when the “Theme & Variations” were finished) the 4th one would be marked “scorrevole” or scurrying. Since everything’s based on an arch-form (and subdivided proportionally according to the principals of the Golden Section), this brief 55-measure, 2-minute scherzo is supposed to balance the 2nd of the pieces, the “Blues Interruptus.” I hadn’t realized it, at first, but the sudden shifts between the four different “elements” of this piece is itself a kind of “interruption” and some of it over-laps much the same way things did in the 2nd piece. I’ve described the form of No. 4 as being four separate, easily identifiable fragments as if its four consecutive segments had been put through a blender so they’re all jumbled together in no particular sequence. But this morning I realized it would be more like putting them through a shredder and then reassembling them in no particular order – a few measures here, a few measures there. I’ve written – or more officially, sketched – about 42% of the piece so far, just working on the individual segments or “elements.” But yesterday, after a couple of days spent largely looking at a blank sheet of paper, I got the idea how to end the piece. For me, this is very important because now I can more easily shape the opening (which I hadn’t started working on, yet) and pace the piece as it moves toward the end. Unlike the other pieces which climax in the “middle,” this one ultimately drives toward the ending. I can see how that will work better, now. And the interesting thing that happened this morning was realizing that the last notes lead directly into the opening notes of the last piece of the set, the “Nocturne” which I finished in November 2005, another way of bringing this set of supposedly disparate pieces full circle. But more “eureka”-like was the realization how to begin this one – and more importantly, why. I never really felt comfortable with the set of pieces making something as organic a whole as a Sonata ought to be, by definition: the primary issue was how the Nocturne started and ended. “Closed form” is a term we use in classical theory to indicate something that begins and ends in the same tonality. “Open form” means it doesn’t: in other words, there’s no sense of tonal closure. The Nocturne began on E-flat and ended on A – I’m not saying “in” E-flat or A because I’m not using the pitches as key areas, but they’re emphasized pitches and create tonal attractions, regardless how the harmony sounds around them – and I did that primarily because, when I quickly wrote this one, it was going to be the middle of something, maybe the 2nd of three pieces. As the arch form balances the pieces structurally, the 4th and 5th pieces equal the length of the first piece; the first and second piece equal the length of the third piece. The climax of the whole set of pieces occurs at the “mid-point” of the middle piece. But if I open the 4th piece in the tonal area the 5th ends in, I create a two-part unit that is, then, closed: No. 4 starts on A and builds to the E-flat; No. 5 starts on E-flat and ends on A. In fact, except for the natural break between them, the last note of No. 4 is really the first note of No. 5. Now, initially, I had thought of this 4th piece as a scary little scherzo, “A Little Nightmare Music,” but as I started sketching out three of the four elements, “scary” didn’t really cut it any more. But once I started planning the very last segment, all five measures of it, it suddenly took on very scary possibilities. This cutting back-and-forth from one element to another is kind of unsettling if not exactly scary but often that’s the way nightmares are: we experience a bunch of things, sometimes seemingly disconnected and at random, which may not seem scary by themselves but there’s something underlying them that scares us, that begins putting the other things into a different context and there, at the end, it’s staring us in the face. And we wake up. Sweating. And – eureka! – suddenly I start realizing how different aspects of the other pieces were accounted for in writing the “Aria & Chaconne” for the middle piece, how the Blues Interruptus, though a complete contrast, was reflected in the more manic Nightmare, and how the mood of the Theme & Variations is reflected in the Nocturne – as well as certain technical things about pitch-sets between the pieces themselves, in lieu of one overall primary pitch-set or tonal scheme that might indicate a more unified whole piece. But it is, now, far more unified than just being five separate pieces. Yeah, they could still be played separately, independently, and stand more or less on their own, but there’s still a quality about them that makes them parts of a whole piece. And that just kind of made my day. But then let’s not get into the Reality Episode that began a half-hour later over my health care coverage, speaking of nightmares: I had to call them about some form I received that didn’t, as usual, make any sense to me. Since this was really a problem further down the line, this entailed several other calls, one of which involved 28 minutes on hold listening to the most god-awful smooth jazz muzac, as if the rabbit-hole this was leading me into wasn’t bad enough already. When faced with such a byzantine labyrinth – a few years ago, I even took one of these forms into a doctor’s business office and they couldn’t figure it out either – sometimes I think Anna Karenina had the right idea... But though this one seems to have been addressed and perhaps solved, it will still entail more follow-up calls in the next few days just to make sure. While I thought this was all settled before, since I’ve scheduled some minor surgery for next month and it’s still not settled, I can only hope for another epiphany on this front – soon! By comparison, composing music is simple! Today, I was going to post something about Resolutions for the New Year but since I don't usually make New Year's Resolutions, there's nothing to post about. So I direct you to this one from two years ago. ...or is it the 9th Day? I was looking at one of my reference books (a brick-and-mortar book, not an on-line source) which said January 2nd was the 8th Day but I had figured, counting Christmas Day as the 1st Day of Christmas, it should be the 9th. First of all, some people think the 12 Days of Christmas actually precede Christmas, the way Holy Week leads up to Easter, I guess. But in the old days, people celebrated Christmas beginning on Christmas Day and observed it for 12 days before ending the celebration on Epiphany, the 13th Day. With all the Christmas carols being heard at the same time, it’s easy to think everything we observe about Christmas – at least those people who observe the religious aspect of it – happens in one day, making it quite busy at the manger with all the shepherds and the wise men toing and froing. But the arrival of the Wise Men is actually observed on Epiphany which is January 6th. Some people count the days beginning at sunset much the way the Jewish calendar is observed. It always make for confusion to see two different calendars giving different dates for a Jewish holiday: one will be the day on which the observance begins and the other implies “it begins at sundown the day before.” Anyway, that would make December 26th the first “full” day of Christmas which begins at sundown the night before. When I was teaching in Connecticut, I attended a Russian Orthodox Church in Willimantic. I’m not Orthodox, in fact had never attended an Orthodox service or even heard any of the music until I was a senior in college and my Church Music class went to a small church to observe a service. I was so intrigued by the experience, I decided to check out a church near where I lived in Rochester the following year and then again in Connecticut where I ended up singing in the choir. Orthodox Christianity uses a different calendar from what we’re used to. Christmas in most Orthodox churches, then, will coincide with Epiphany in “Western” Churches. So by going to the Willimantic church, I could observe 24 days of Christmas. It’s confusing for the kids, though, because the rest of the world seems to be celebrating it before they are, so what many families did was celebrate the gift-giving, secular aspect of Christmas with their neighbors but then observe the spiritual celebration in their church later. It also meant, as some of my fellow choristers pointed out with a smile, they got to celebrate two New Year’s Days, too. Anyway, the calendar is a fairly arbitrary thing. There is no direct, fool-proof way to calibrate “time” – we have gone from a society that was fairly vague about it until, between the invention of more refined clocks and watches, then the electric light to help us more easily stay up past sunset (when candles aren’t enough), we now observe a “leap second” to adjust our calendar as the earth’s movement shifts slightly in its rotation. I hope you used your Leap Second wisely before midnight on December 31st! Then, too, January 1st wasn’t always the beginning of the New Year. It used to be observed around the arrival of Spring, according to the equinox. March was the first month on the Roman calendar before 46 BC. The arrival (or return) of Spring would certainly bring with it a sense of something new or at least renewal. But since nothing in the heavens is going to tell you the New Year begins – now! – it’s all a matter of book-keeping. Every now and then, adjustments have to be made because someone figured something wrong somewhere. Hence the addition of leap days and other various tweakings over the centuries. Janus, the two-faced god looking both forward and backward, became a symbol of this newly added month with the Julian Calendar. Janus was an king of Latium whose citadel, built on one of the Roman hills, the Janiculum, had a double gate that was kept closed while the kingdom was at peace, but remained open during times of war. During the Christian era, according to Maymie Krythe’s “All About the Months,” this gate was closed only four times. Hopes better times and sips his ale. Things in the new year had to be better. But before there were “bankrupt lists” or prices of things to worry about, there were wolves that came out of the woods, where everything they’d fed on had either migrated, gone into hibernation or died. So they would invade the villages and attack people. This is why the ancient Saxons called this month Wolf Month. With the Recession of 2008, we may be thinking once again there are wolves at the door. Originally, going back to Roman times, presents were exchanged on New Year’s Day. In Italy, gifts given to children were said to be brought be the wise men who had brought gifts to the Christ Child. This would make more sense if the gifts were given on Epiphany, the Feast of the Wise Men. But this custom eventually became part of Christmas Day and a 4th Century bishop, St. Nicholas (whose feast day is December 6th), became associated with giving gifts to children, inspired by various legends associated with his life, and he eventually found himself converted into Jolly Old St. Nick, and, by way of the Germanic spelling Niklaus, Santa Claus (if there was ever a Sint Klaus in between, somewhere). When I was a kid growing up in the 1950s, Christmas shopping did not begin until the Friday after Thanksgiving, “Black Friday” after which store profits would no longer be “in the red.” My dad, a merchant, would work on Wednesday night or Thursday to put up the “Christmas Displays.” I don’t think many places put Christmas decorations or merchandise out earlier than that, then. There was a Thanksgiving Parade in Harrisburg which would end with the arrival of Santa Claus, much as it does today, though now it’s often scheduled a week or two before Thanksgiving. One of the highlights was going downtown to Pomeroy's, a department store located at 4th & Market Streets, to look at their animated windows. Primitive by modern standards, even before computerized special effects, then it was simply magic and adults would line up behind the children to ooh and aah as well. However, since merchants now need to make as much money as possible, it’s more likely Christmas goes up as soon as Hallowe’en comes down. Last year, I saw Christmas ornaments and toys for sale over Labor Day Weekend. I got my Bah Humbug scarf out early, that year. I recall many childhood Christmas Eves spent decorating the tree, especially untangling strands of lights and then trying to find out which one was the burnt-out one. The tree might come down some time after New Year’s Day and sometimes we’d keep it up well into January. Nowadays, people are more likely to decorate the outsides of their houses – those that don’t leave them up all year 'round – when the weather is still mild which could mean well before Thanksgiving. The lights might not be turned on until the Friday after Thanksgiving, but they could be in place and ready for quite a while. People would go get their trees right after Thanksgiving. Advent became more associated with a time to decorate and a time to shop, getting pushed further and further back into November until it became the opposite of the 40-days of Lent (a period I call Glut) with Black Friday now somewhere near the middle of the cycle, not its start. Farmers, it was said, would rather see a wolf in their barns on Candlemas Day than the sun. And Candelmas Eve was considered the day you’d take down your Christmas decorations. But these days, if you’re putting them up at the end of November, by Groundhog’s Day you’ve got quite a fire-hazard on your hands. Or you’re knee-deep in pine needles. Then, too, how long should we be playing and singing those Christmas carols? If December 25th is the first day of Christmas, shouldn’t we be playing the carols – at least those related to various aspects of the holiday (the Nativity, the Shepherds, the Wise Men) – through the 12 days? But if you’ve been bombarded with them since Thanksgiving Day, many people are quite happy to put them away on December 26th. On the other hand, January 1st (New Year’s Day) is also the Feast of the Circumcision, another ritual of a boy’s birth but one that hasn’t resulted in any Circumcision Carols that I’m aware of. It still saddens me to see people taking down their trees and throwing them out for trash pick-up the day after Christmas. At least wait until 12th Night has passed... It will give you time to practice writing 2009 on your checks.